Sign up to testify at the committee hearing on Tuesday. The committee will meet at 10:30 a.m. or on adjournment of the House in E2.016 in the Capitol extension. Place a call to members of the House Business and Industry Committee to express your support for HB850 (contact info provided below). It’s past time to send a clear message to the rest of the country that discrimination isn’t a Texas value. Protecting people from discrimination is about treating others as we all want to be treated – fairly, equally and with respect. But it’s shocking that our state’s nondiscrimination laws don’t protect LGBT Texans from being fired just because of who they are or whom they love. Most people want to do the right thing and treat others equally. But nondiscrimination laws are necessary to set a clear standard that discrimination has no place in our state. Even though we all may have different beliefs, what’s most important is focusing on what we have in common. 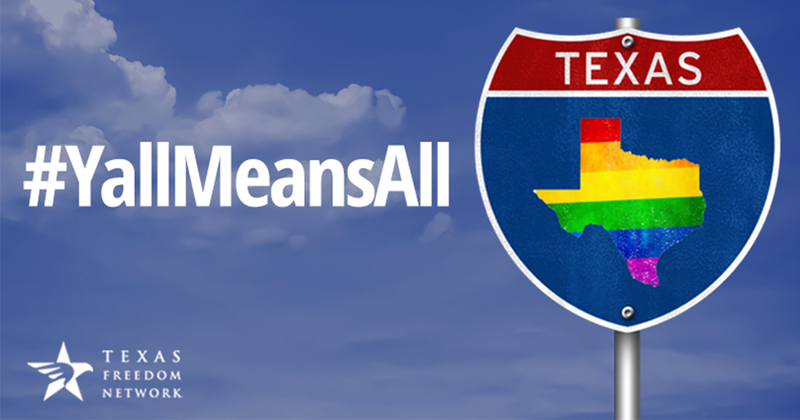 Updating our state’s nondiscrimination laws will help ensure that all people in our state – including LGBT Texans – have the opportunity to earn a living and be judged solely on job performance as an employee. LGBT people should be treated like anyone else and not be discriminated against.